Ideal for the international businessman or casual globe-trotter. The World Time Clock is the perfect travel companion, displaying local times of 10 different cities via a simple twist of the dial. 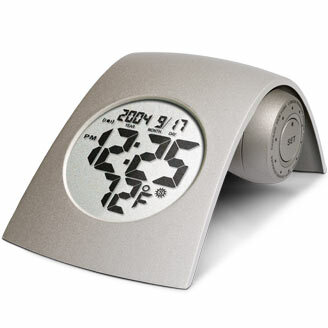 Featuring date and temperature displays, the world clock also includes a built in alarm that boasts six different melodies. You can set a different tune upon your arrival in a new time zone! (Batteries included) What’s next? Making up for those hours you lost a few time zones ago!